Independence Day is one of the most family-friendly holidays of the year. Every 4th of July, families gather for neighborhood barbeques, picnics in the park, and fireworks on the beach. The day is filled with patriotic fun, sparklers (for the “big kids”), and of course, food. Celebrate the USA’s birthday by making these festive red, white, and blue s’mores with your kids. They’ll enjoy making them, and will enjoy eating them even more under the glow of fireworks while “America the Beautiful” plays on! Preheat oven to 400° F. Using a teaspoon, help your child to spread the strawberry preserves onto eight of the graham crackers (one teaspoon of preserves, each. Place strawberry-smeared graham crackers onto a parchment-lined baking sheet (strawberry side up), and have your child place one marshmallow each onto the strawberry preserves. Remove the graham crackers from the oven, and carefully remove the outer layer of marshmallow, leaving only the gooey center on the cracker. This not only removes excess sugar from the family-friendly dessert, but it also allows the marshmallow to melt into the tasty strawberry preserves. 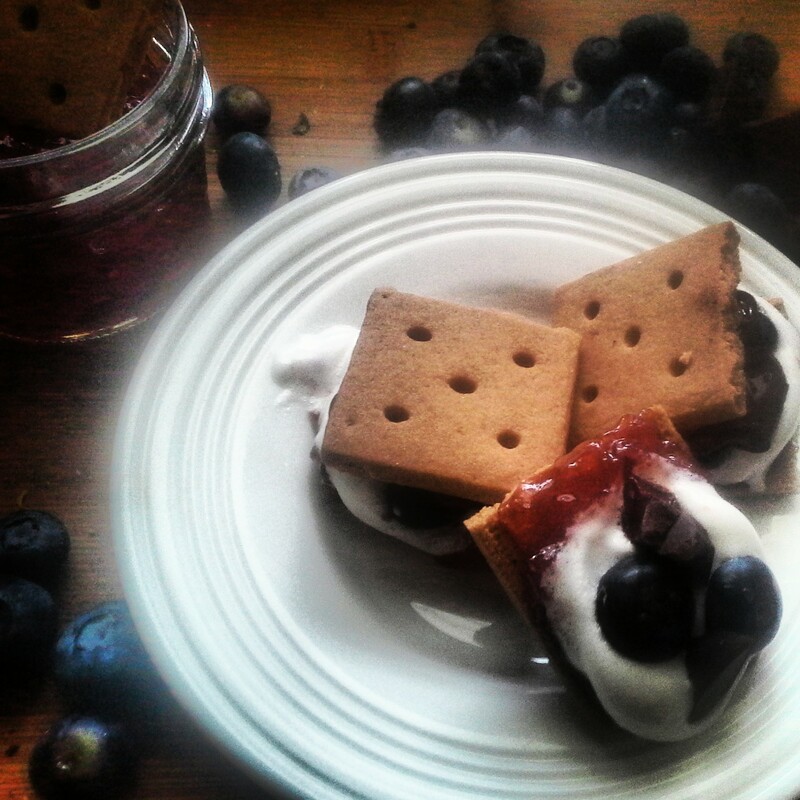 Complete the s’mores by helping your child to top each one with two blueberries and a chocolate-smeared graham cracker. Enjoy!